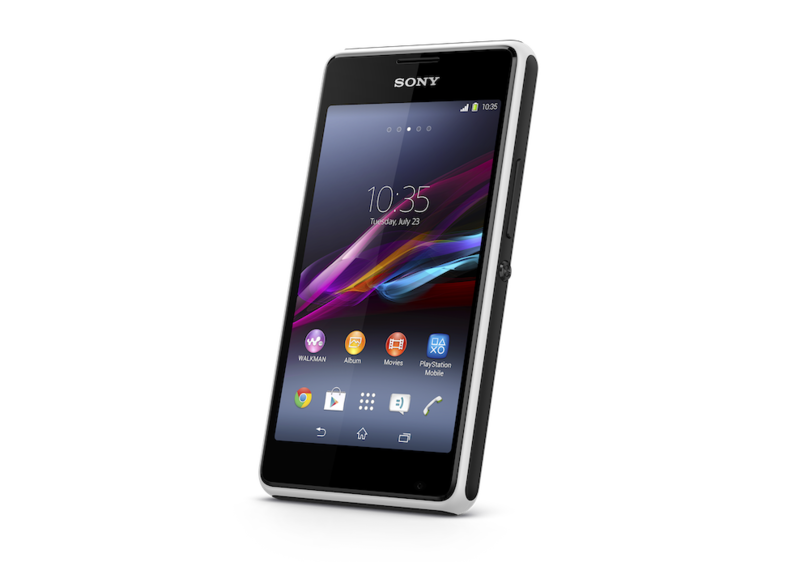 Sony didn't hold back at CES last week, introducing new Xperia Z1S and Z1 Compact smartphones to kick off 2014. Not a week later, and Sony is announcing a duo of new handsets for overseas markets, including the Xperia E1 and E1 Dual. Neither is meant to blow your hair back, though if you consider yourself an audiophile, Sony has created a device that might make your ears perk up. How does a 100dB speaker sound? Loud enough not to be drowned out by the blaring exhaust of a motorcycle—that's how. The E1 (and E1 Dual) are devices aimed squarely at the emerging crowd, foregoing the crispness of HD displays and blazing fast processors for a solid audio experience. The company said it built technologies—ClearAudio+ mode and xLOUD optimization—paving the way for the E1's 100dB speaker, and promising users an enhanced listening experience unmatched by competitors. In addition, the device has Walkman technology, which is a huge part of Sony's audio pedigree. As a bonus, E1 owners will receive a 30-day pass for Sony's Entertainment Network music streaming service, so you can put the company's WALKMAN app to good use. Other specs include a 1.2GHz dual-core Qualcoom chip, 1700mAh battery, 512MB of RAM, 4GB of storage and availability in white, black and purple. It'll also get quick data speeds on networks across the pond thanks to its HSPA+ support. The dual SIM version is nearly identical to the E1, with the dual SIM functionality being the only difference (go figure). No carriers have been announced just yet, nor price, but look for that information to drop soon.